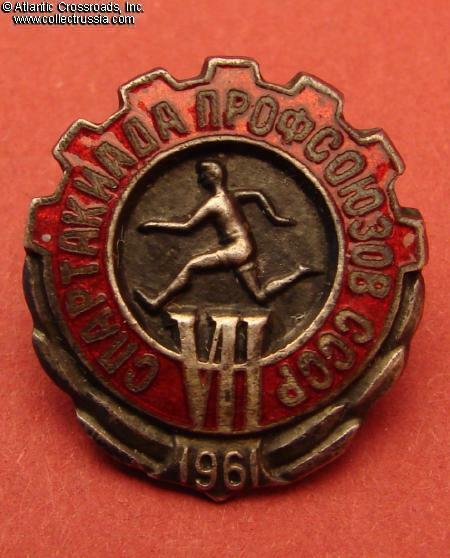 Seventh Spartakiada of the Trade Unions of the USSR, participant's badge, 1961. 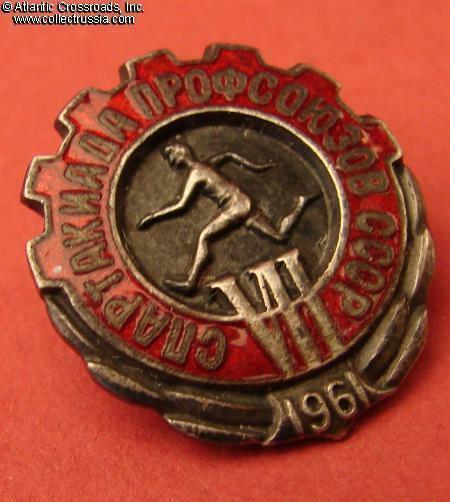 Silver plated brass, enamel; 19.5 mm tall x 17.6 mm wide. 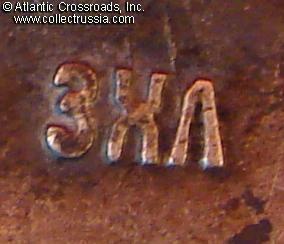 Raised Cyrillic maker mark "ZKhL" on the reverse. 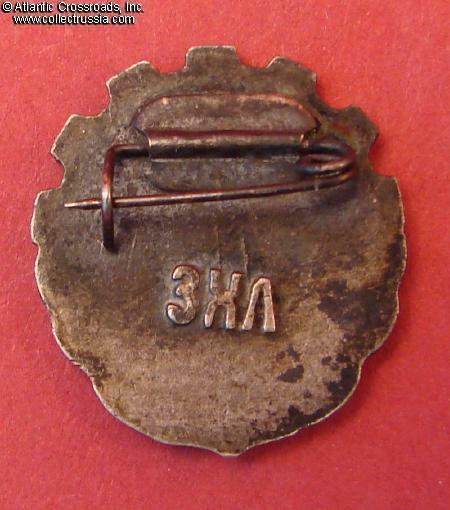 Very nicely made lapel size badge. In excellent condition.